NEW YORK (AP) — A New Jersey financial adviser-turned-bag man in a college basketball corruption scandal testified Wednesday about a clandestine mission last year to deliver an envelope with $19,400 in cash to the father of a highly sought-after prospect. 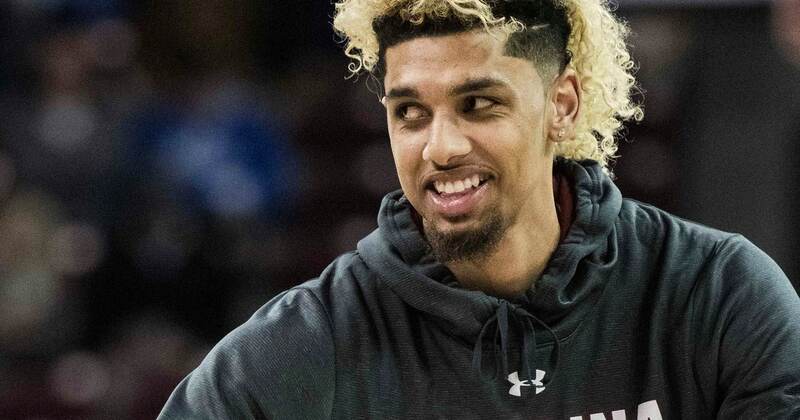 Munish Sood took the witness stand at the federal trial of three men charged in an alleged scheme to funnel secret payments to the family of Louisville recruit Brian Bowen Jr. and other hot prospects. As he testified in federal court in Manhattan, prosecutors played a wiretap of him telling his business partner, aspiring sports agent Christopher Dawkins, about his misgivings over the money drop he was making at an office building parking lot. The testimony came on the third day of the conspiracy trial of Dawkins, former amateur basketball director Merl Code and former Adidas executive James. All three men have pleaded not guilty in the scandal that drove Bowen out of college basketball and resulted in the firing of Louisville coach Rick Pitino, who wasn’t charged and denies any wrongdoing. The case has cast a harsh light on an underground economy where middlemen used money from Adidas and other big athletic wear companies competed with one another to ply the families of hot prospects with money and gear, sometimes called “shoe wars.” In return, the young players were expected to attend programs sponsored by the companies and, if they went pro, hire the middlemen as agents or financial managers. The defense hasn’t challenged the government’s claim that the payments violated NCAA rules protecting players’ amateur status. But they have disputed claims that major universities were defrauded, since the effort to steer blue-chip prospects translated into big money for their programs. In a secretly recorded hotel room meeting from 2017 that the jury heard on Wednesday, Code could be heard explaining that the payments, which reach $100,000 or more, ran risks, since the middlemen have no recourse if the young players wash out or simply walk away from an agreement to go to a particular school. “We’re not supposed to be giving them $100,000 anyway,” he said on tape. Sood, 46, testified that after he met Dawkins, he agreed to use money from his business to front money that would be doled out to recruits’ families. In return, he hoped, he would win enough favor that the players would hire him to manage fortunes from signing NBA contracts. Despite the guilty plea, Sood said he’s still running a financial firm in Princeton, New Jersey, while he awaits sentencing. He also said he still advises pro-athlete clients, including Kyle Kuzma, of the Los Angeles Lakers. On cross-examination, defense attorney Steven Haney peppered Sood about the plea deal, expected to help him avoid a prison sentence of up to 35 years behind bars. “You would say anything to stay out of prison for 35 years, wouldn’t you?” the lawyer asked.